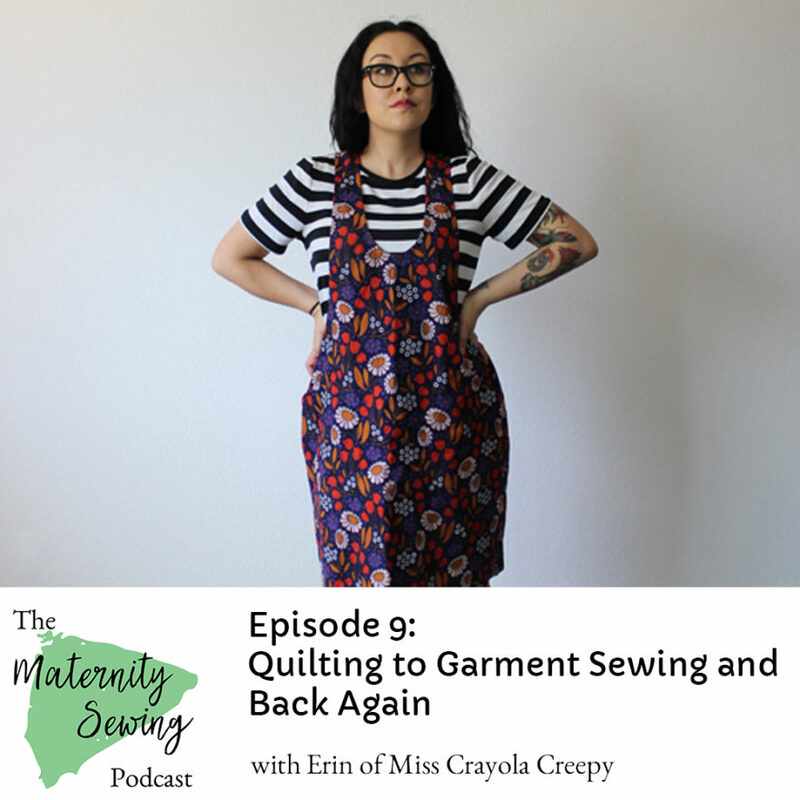 In Episode 9 of the Maternity Sewing Podcast, Erin talks with another Erin, Miss Crayola Creepy, about her journey from quilting to garment sewing back to quilting. 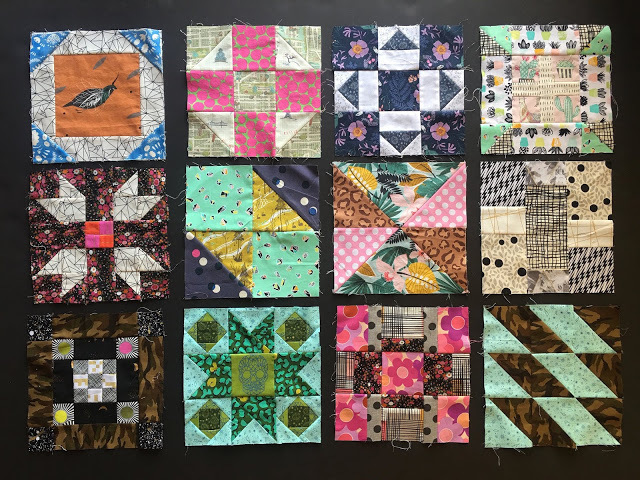 She talks about what she’s learned from quilting that helps her with garment sewing (and vice versa) and shares some really exciting news! You can find Erin Fosmire at Miss Crayola Creepy and on Instagram. Erin F. mentioned the Picking Daisies fabric shop in San Luis Obispo. Some of Erin’s progress on her current quilt. Her blog post about it is here. The book she’s using is The Fussy Cut Sampler by Nichole Ramirez and Elisabeth Woo. The quilt Erin is going to make for her son Dean is The Kiss by Libs Elliott. 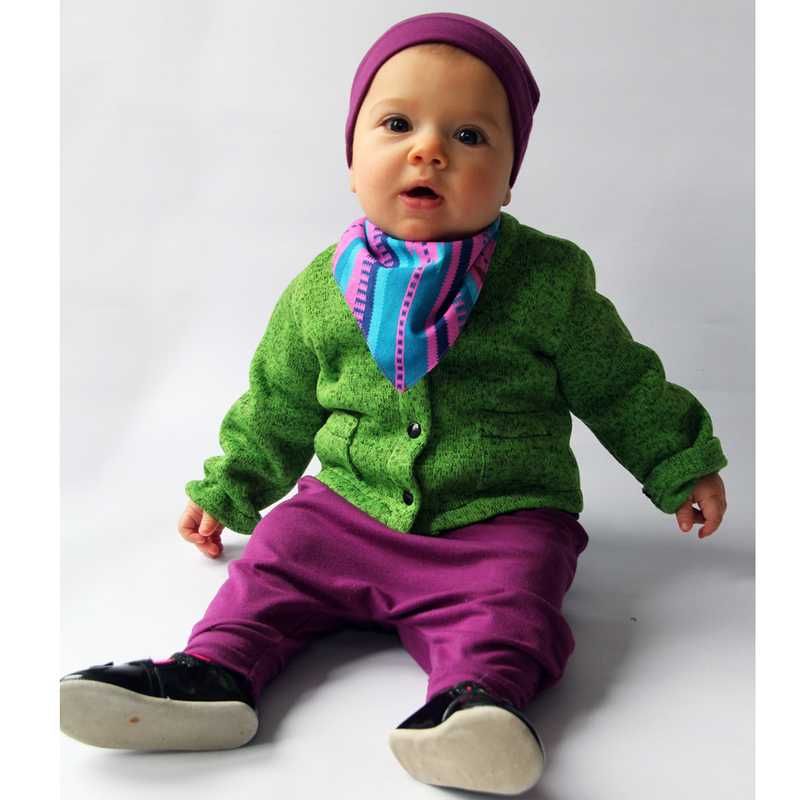 Comment below if you have baby clothes patterns you’d suggest to Erin! And ready our blog post suggesting a couple different layettes we love here. [0:11] Welcome to episode 9 of the maternity sewing podcast. 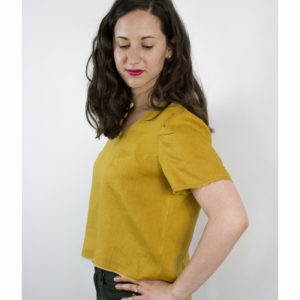 Maternitysewing.com is your source for maternity, nursing and postpartum friendly sewing patterns. 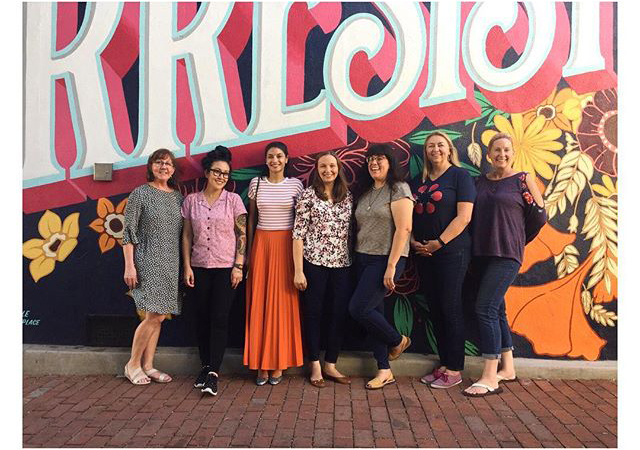 The maternity sewing podcast is we we have Frank conversations, share stories and offer help and inspiration on things like sewing and body positivity especially during pregnancy and postpartum. Hi I’m Erin Weisbart, also known as Tuesday stitches. Today I’m talking with another Erin, Erin party. You may know her as Miss Crayola creepy. We’re going to talk about her journey from quilt sewing to garment sewing and back to quilt sewing and she’s got something really exciting to share with us. [1:05] Hi Erin. Hey Erin, how are you. I’m great. How are you doing? I’m really excited to be here so thanks for asking me to join you guys and invite me to the Erin party. I’m excited. yeah yeah well there ain’t no party like an Erin party. For sure. Do you mind introducing yourself to our other listeners who may not be familiar with all the Erins out there. 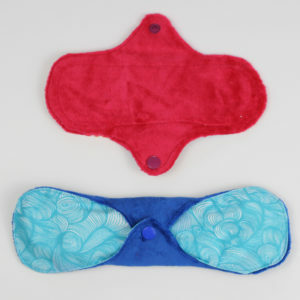 favorite type of sewing, although like I’m sort of like anything that involves making stuff out of fabric I’m into it. Primarily a garment sewist and it feels like I’ve been noticing you getting a lot more into quilt sewing recently so I was just wondering about what it is about quilting that has been drawing you in? [2:31] What most people don’t know is when I first started sewing I actually started with quilting. Maybe 2010 or 2011 I’m not 100 hundred percent sure I started taking some quilting classes.In that class that’s how I learn how to use my machine how to use my rotary cutter and my ruler. Most of the basic things that I use daily you know when I’m sewing clothing. Quilting just kind of took the back burner for a little bit once I discovered garment sewing. I always try and get back into it of course I’m always hoarding quilt fabric for the quilts that I’m going to make some day. But I got really into more recently. One of my good friends DeDe she owns a fabric store called Picking Daisies in San Luis Obispo California and she actually made her first quilt last year and it was the fussy cut it was from the fussy cut sampler book. I don’t know if you guys have seen it. It’s written by Elizabeth Hardy and Nicole Ramirez. It was a super cool book she did her first quilt from it. It turned out amazing and then they did this second quilt along and Dede asked me like “hey do you want to do I do this with me.” So I thought yeah this sounds really fun and it was really fun. So I just got super super into it. They’re 48 blocks. I’d have like little quilting get-togethers with my friends. [3:55] And it was just it just a whole other way of sewing. It’s some of it is similar to garment sewing but in some aspects it’s so different like you. [4:46] project but in the quilt there’s 48 little blocks and you get 48 opportunities to make something creative and unique and custom and you so I love it. [4:55] So that’s just a very super long-winded way of saying that I’m I’m so drawn in by the fun prints of the fabric. And the whole aspect of quilting along with friends it’s just really fun. It’s a cool community. It sounds like a lot of things you identified as being the things that draw you to quilting or the things you learning in quilting are totally applicable to garment sewing as well just on a bigger scale. Yes 100 percent. So it’s really fun to expand your skills all around. [6:17] you know quilting is my heart and soul right now because I love garment sewing. I don’t know I just I can’t balance it. I love quilting. I love sewing garments. I love reading. and I love knitting and those arethe four things I can never quite balance all four things at the same time. I’m always in love with a few. And one gets the back burner but then it’s a rotation. I think balance is overrated anyway. I mean go big or go home. I tend to more of that. You get super into something and then other things may fall by the wayside for a while. It doesn’t mean you love them any less, you’re just a little more obsessed with one of the other things at the moment. Yes that’s a good way of saying it. Awesome. Well I happen to know that you have some very specific garment sewing that you might be doing these days. So do you want to tell us about this new type of garment showing that will be going on in your life? he’s due at the end of February so I don’t know when this is going to be playing or when you guys are going to be hearing this but I’m about 24 weeks right now. [8:24] So yeah I’ve got a few more months to go. Baby clothes, so that’s on the agenda for sure. And a baby quilt. 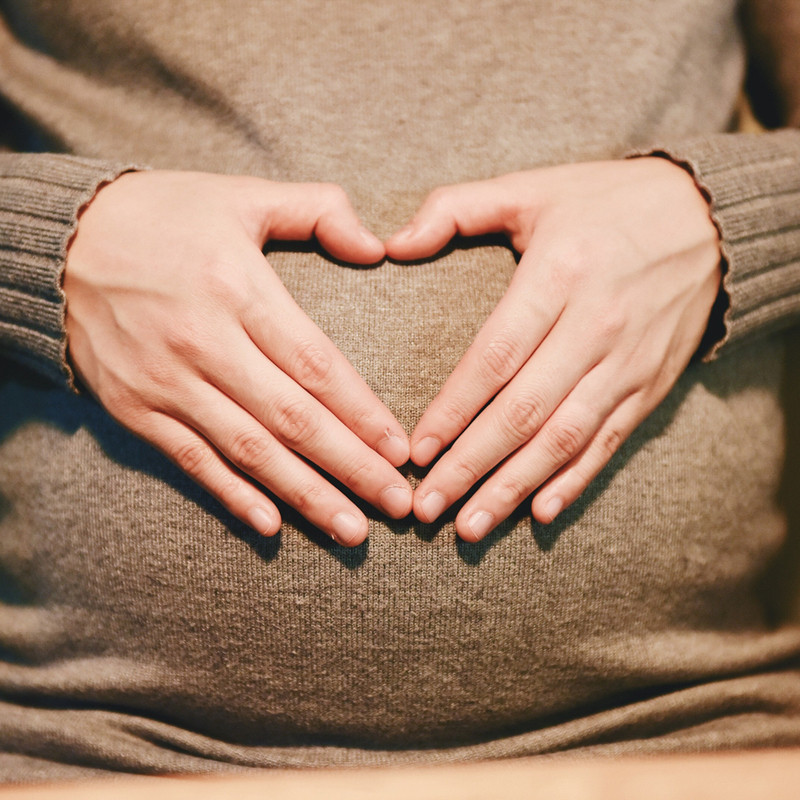 Awesome and so and it sounds like I already know the answer to this question but we’re wondering if you know if pregnancy is driving your sewing or quilting plans right now and if there is if so if you have any specific plans that you want to tell us about. You know I still work 40 hours a week and I start my day most of my days with a 6 a.m. workout and then I’m just super tired by the time I’m done at the end of the day so it’s hard to get motivated to sew. But I do have like some projects I want to work on. I want to do a baby quilt. 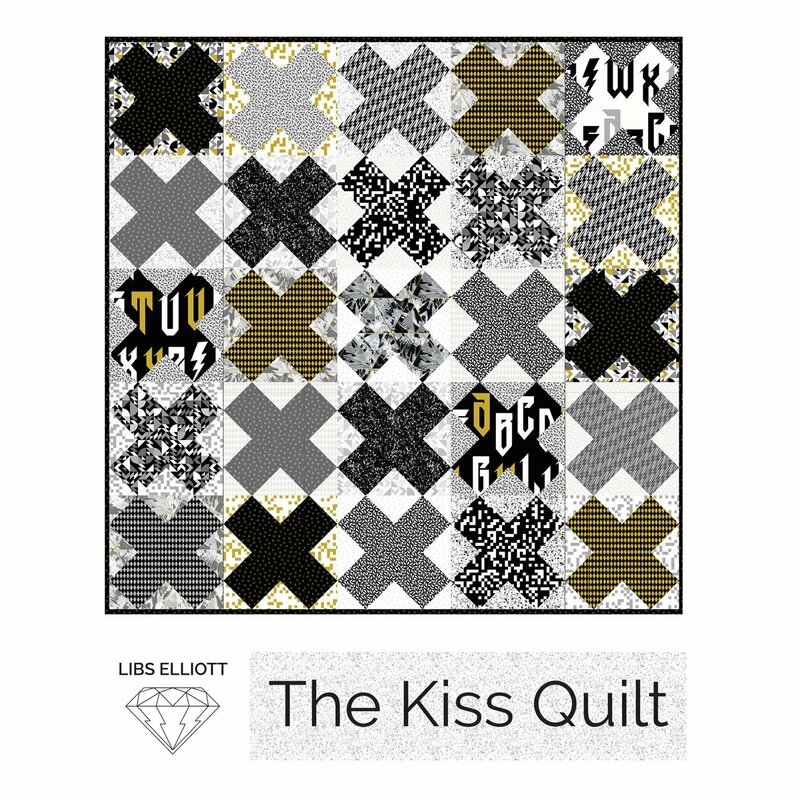 I’m doing the Libs Elliott pattern called the kiss and then I’m also trying to get a little wall hanging quilt to hang up in Dean’s room. And then I need baby clothes suggestions you guys so if you have any recommendations. I don’t even know where to begin so I’d love the advice from all of you. And then I want to sew some maternity clothing. [10:09] it seems like a common theme for most women is making lots of plans and then sometime the energy to follow through on them while you’re actually pregnant doesn’t necessarily follow along with the plans but you know you’ll get your like bursts of like I swear I mean the nesting thing. I don’t know it was so true for me I was sick miserably sick the entire pregnancy except for I had these totally random bursts of like “must do all the the things” and all the sudden I feel okay for 3 days I have all this nesting energy where I have to like do all the things. I was like painting a wall while eight and a half months pregnant cuz I had energy for a it’s silly. So I’m guessing you’ll have those moments even if for the most part you’re trying to like reign in and be reasonable and temperate with your plans. [12:34] I know baby clothes you always want to stagger up a bunch of sizes anyway so you’ve got stuff like the next size queued and in a closet before they grow into it so just sew up a couple sizes knit up a couple sizes and you have to worry about like having things done by the time a newborn is newly born. Anyway. That’s what I heard to avoid making newborn stuff because they wear it for like a second and then they’re out of it. To all of our listeners, chime in on our blog maternity sewing.com/podcast where we have our show notes but also chime in and suggest some of your favorite baby patterns for Erin here because she wants to know what do you love sewing for babies and we’d love for you guys to chime in. Our guest today was also Erin and you can find her on her blog at Miss Crayola creepy.com and on Instagram as Miss Crayola creepy.